If you’re looking for a new Mitsubishi car for sale, take a look through our new car specials! While we offer money-saving deals on some of our most popular Mitsubishi models on a regular basis, we also offer enticing specials on the vehicles in our pre-owned inventory. In addition to saving money on a pre-owned vehicle with one of our deals, you’ll enjoy several other key benefits when you opt for a used car for sale, such as lower insurance premiums and registration fees. To learn more about the benefits of buying a previously owned vehicle, contact our Clarksville, IN Mitsubishi dealership now. 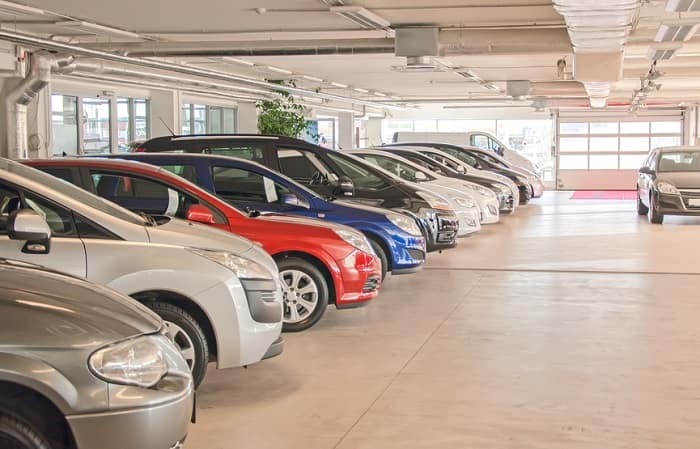 Just as it is for drivers who are in the market for a new vehicle, research is the key to success for motorists who want to buy a pre-owned vehicle. Before you start looking, make a list of what you want and need in a vehicle, starting with the body type. Should you buy an SUV, a sedan, or hatchback? Which will best support your lifestyle? Next, start getting more precise with the features you want your pre-owned Mitubishi to have. Is leather seating a priority? Or is a navigation system? Think about you, your family, and your daily driving routine to pin point the amenities that will be most beneficial to you. Of course, budget is also important to consider. Determine what you’re comfortable paying as the down payment and as a monthly installment on an ongoing basis. We even offer a fine selection of vehicles under $10,000. Our Louisville car dealers are happy to discuss the different payment plans we offer, as well as answer any of your financing questions! For added peace of mind, take a look at our certified pre-owned Mitsubishi cars. With a Mitsubishi certified pre-owned car, you’ll reap the benefits of a 10-Year/100,000 Powertrain Limited Warranty. You’ll also like that 24/7 roadside assistance comes equipped should anything happen on the road, and the fact that your automobile passed a comprehensive, multi-point inspection conducted by factory-trained technicians that inspect every aspect of the vehicle. As a Mitsubishi car dealer serving Radcliff, KY and surrounding areas, we’re proud to sell new, previously owned, and certified pre-owned Mitsubishi vehicles. We’re happy to help you find and finance the vehicle that meets your every need here at our Mitsubishi dealership. Stop by Mitsubishi Store Clarksville today!